HTC have been denying that their HTC Butterfly, or Droid DNA in the US, will be coming to Europe and a spokesperson for HTC Germany said the Deluxe (former name) would definitely not be coming to Europe. While Europeans cried over this heartbreaking news, it seems that the UK may get the HTC Deluxe, albeit under a new name ‘HTC Butterfly’. While people in the UK are not dying for this smartphone to come out, it would be a nice competitor against Samsung’s Galaxy Note 2. The phone has a five-inch screen, 1080p display, quad-core Snapdragon S4 Pro processor clocked at 1.5GHz and an eight-megapixel camera. We reviewed theUS versionof the phone recently and even with all the great improvements and amazing display, we found battery life to be a little poor and HTC skin stopped us from getting to some of the Android features like Google Now. Still, the Droid DNA is worthy of one of the top five phones in the US right now. Expansyshave said the HTC Butterfly is available for pre-order, although the time it will come and the price is not on yet. 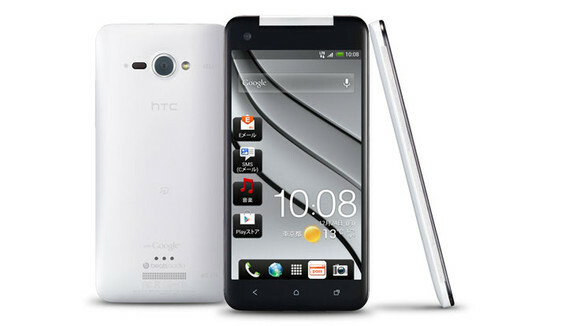 HTC have recently reported that they still have no plans to bring the HTC Butterfly to the UK, despite Expansys’ post. We are unsure if timing between the two companies was mistaken or if there is just a general mistake, whatever the case, the HTC Butterfly is still there and available for pre-order. We suspect that HTC may want to build up excitement before the phones launch in the UK. The HTC Butterfly will come with contract for 24 months on a number of carriers, instead of an individual one like it was in the US (Verizon). While the HTC Deluxe may never hit the shores, the HTC Butterfly may have a swimming chance. There is no current news of the HTC Butterfly coming to any other European countries apart from the UK.